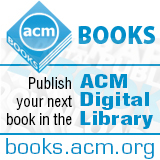 Welcome to the August 14, 2015 edition of ACM TechNews, providing timely information for IT professionals three times a week. Researchers at Japan's National Institute of Advanced Industrial Science and Technology (AIST) and the Japan Science and Technology Agency have developed stretchable, tough electronics that could be incorporated into clothing, transforming wearable technology. The new technology is embedded in a rubber matrix with carbon nanotubes, resulting in a material consisting of hydrocarbon polymers and long single-walled carbon nanotubes arranged in a network structure. The researchers found the new material retains both the electrical conductivity of the nanotubes and the softness of rubber. "Although previous reports have demonstrated one or two aspects of robustness, our aim was to develop a wearable device that could tolerate all the 'punishments' our clothes experience, for example, stretching, bending, and twisting, as well as compression, impact, and laundering," the researchers say. "To date, this level and diversity of robustness have never been reported for any electronic device." The researchers note the material has 110-percent elasticity and will still work even after being hammered, run over by a car, and stepped on with high-heeled shoes. The transistors could be used in "health monitors, wearable communication devices, robotic skins, and so on," says AIST researcher Atsuko Sekiguchi. The U.S. President's Council of Advisors on Science and Technology (PCAST) has published a 2015 follow-up report on the Federal Networking and Information Technology Research and Development (NITRD) Program. The PCAST NITRD Working Group and council members elected to closely examine eight areas that are critical to the future of information technology (IT)--cybersecurity, health, big data and data-intensive computing, IT and the physical world, privacy protection, cyber-human systems, high-capability computing, and foundational computing research. Among the report's cybersecurity recommendations is the U.S. National Science Foundation (NSF) sponsor foundational research on techniques to enable end-to-end construction of trustworthy systems and on ways to predict and defend against attacks. The report also recommends the U.S. Department of Defense, National Security Agency, Department of Homeland Security, and Department of Energy sponsor both foundational and more applied mission-appropriate investigations of these areas. PCAST's recommendation for the IT and the physical world component involves NSF and the U.S. Defense Advanced Research Projects Agency leading cross-disciplinary programs to advance research and development of new strategies for robust autonomy, promote integrative approaches to human interaction, and probe new sensing and interface technologies. The report also recommends NSF sustain its support for basic research on the mechanics and science of cyber-human systems. About 60 high school girls spent seven weeks this summer learning about coding and computer science at the Girls Who Code Summer Immersion Program held at Georgetown University in Washington, D.C. The camp was sponsored by the Business Software Alliance (BSA), Lockheed Martin, and the university, and organized by Girls Who Code, a nonprofit group that is seeking to increase the number of women who pursue careers in technology. "I think if there's a significant portion of the population that is discouraged from going into an industry, then, by definition, you are losing a significant chunk of talent," says BSA president Victoria A. Espinel. "There's a huge population of smart people that are not going into coding, and we need to have them going into coding." The girls have different reasons for attending, from job prospects to a simple love of video games and technology. During the camp, they worked on several projects, including video games, apps, websites, and devices. One group of girls developed a plant-management device called "Plantech," which lets people know when their house plants need attention, such as watering. Another group is developing an app to help users locate restaurants that cater to people with dietary restrictions. Computer scientists from the University of Massachusetts Amherst led by Evangelos Kalogerakis have developed a software modeling program that can compare the style similarity of three-dimensional (3D) objects. The researchers presented their new algorithm this week at the SIGGRAPH 2015 conference in Los Angeles. To develop the software, Kalogerakis and colleagues used visual motifs as well as observations about style similarity in art history and appraisal literature, which provided geometric elements including shape, proportion, and lines. They also used crowdsourcing to present objects' style comparisons to more than 2,500 people who volunteered via Amazon Mechanical Turk. Their comments yielded more than 50,000 responses on seven structurally diverse categories, including buildings, furniture, lamps, coffee sets, architectural pillars, cutlery, and dishes. The human respondents agreed on style similarity on average 85 percent of the time. The researchers then evaluated the research tool by comparing its responses to the human evaluations, and found it achieved "a surprising agreement rate" of 90 percent, Kalogerakis reports. He believes the new algorithm can be useful to those exploring databases of digital representations of buildings, pillars, and other objects according to style attributes when designing virtual or real environments, creating content for computer games, or populating an augmented reality environment with virtual objects. The New York Times' article recommendation algorithm has been overhauled, using Collaborative Topic Modeling (CTM) as its inspiration. CTM models content, adjusts the model by viewing signals from readers, models reader preference, and bases its recommendations on the similarity between preference and content. The algorithm first models each article as a combination of the subjects it covers, and then models each reader according to the topics they prefer. The algorithm produces recommendations based on how closely their topics align with the readers' favorite topics. To model an article based on its text, the algorithm examines the body of each article and applies Latent Dirichlet Allocation, which learns the mixture of "topics" in each article. A document with a high-weighted topic has words that are more likely to be weighted highly under this topic. Updating the model according to audience reading patterns is facilitated by incorporating those patterns on top of content modeling, iteratively adjusting offsets and recalculating reader scores until neither exhibits much change. CTM then describes readers based on reading history to rapidly calculate reader preference in less than 1 millisecond per reader. A serious weak point in vehicle security enables hackers to remotely control a vehicle, according to researchers at the University of California, San Diego (UCSD). The team demonstrated the vulnerability on a Corvette by turning on the windshield wipers, applying the brakes, or even disable them at low speed. The flaw involves the small black dongles that are connected to the onboard diagnostic ports of vehicles to enable insurance companies and fleet operators to track them and collect data such as fuel efficiency and miles driven. The researchers found the dongles could be hacked by sending them short-message-service text messages, which relay commands to the car's internal systems. "We acquired some of these things, reverse-engineered them, and along the way found that they had a whole bunch of security deficiencies," says UCSD professor Stefan Savage. The researchers warn the compromised dongles enable hackers to control almost any aspect of the car, including steering and locks, and note that any of the thousands of cars equipped with the dongles were potentially vulnerable. The researchers will present their work this week at the Usenix security conference in Washington, D.C.
University of Vienna researchers have demonstrated a new quantum computing technique in which operations occur without a well-defined order. The researchers used this effect to accomplish a task more efficiently than a standard quantum computer. The researchers say the breakthrough could lead to a new form of quantum computing, potentially providing quantum computers with an even larger computational speed-up. The researchers realized that superimposing the order of quantum gates could be implemented in the laboratory, enabling them to know if one operation occurred before another operation, and vice versa. The results of the experiment prove it is impossible to determine which quantum logic gate acted first. "In fact, we were able to run a quantum algorithm to characterize the gates more efficiently than any previously known algorithm," says University of Vienna researcher Lorenzo Procopio. From a single measurement on the photon, the researchers probed a specific property of the two quantum gates, thereby confirming the gates were applied in both orders at once; in addition, as more gates are added to the task, the new method becomes even more efficient compared to previous techniques. The study represents a new way to connect theoretical research on the foundations of physics to experimental quantum computing. The IMDEA Networks Institute has announced the successful completion of the European research project enhanced COntent distribUtion with Social Information (eCOUSIN). The project's findings met the research objective, according to European Commission reviewers. The main goal was to design an innovative network architecture that improves the efficiency of online social networks as well as the quality of the experience for users. Network prediction enables avoidance of performance outages by planning solutions before problems become unavoidable, or, if resource availability permits, users can take advantage of temporary profitable conditions to balance future quality degradation. The idea was to exploit the growing popularity of online social content and its interdependencies. ECOUSIN focused on data collection and analysis, scalability of network infrastructure, linking network and content-related functionalities, and social information-driven algorithm design. Nine partners from six countries and four universities participated in the project, including Madrid-based IMDEA, which contributed passive and lightweight measurement tools, performance models, and predictors for mobile networks, in addition to algorithms for resource allocation optimization. Massachusetts Institute of Technology (MIT) researchers have developed HERMES, a robot with a unique balance-feedback interface that could be deployed to a disaster site, where it would explore the area, guided remotely by a human operator. "We plan to have the robot walk as a quadruped, then stand up on two feet to do difficult manipulation tasks such as open a door or clear an obstacle," says MIT Ph.D. student Joao Ramos. The robot features load sensors on its feet, which measure the force exerted by each foot on the ground. Depending on the forces measured, the researchers calculate the robot's center of pressure. They then map out the edges of the robot's feet and determine if the robot's center or pressure strayed toward these edges, which could indicate if the robot was in danger of falling. The researchers built a balance-feedback interface consisting of a polygonal platform equipped with motors, and an exoskeleton of metal bars and wires that attaches to a user's waist to simulate the human body's center of mass. The researchers used software to translate the robot's center of pressure to the platform's motors, which apply comparable force to the exoskeleton. Texas Advanced Computing Center (TACC) researcher Paul Navratil, with support from the U.S. National Science Foundation (NSF), is leading an effort to design GraviT, a new framework that would enable tens of thousands of scientists and engineers who use the U.S.'s supercomputers to add ray tracing visualizations to their research, regardless of the type of computing systems or hardware they are using. Ray tracing simulates the photons of light as they bounce from a light source off an object and into the eye, based on the laws of optics. Ray tracing's physically realistic rendering creates more realistic reflections and shading than rasterization-based visualizations, and helps people understand the spatial relationships between the parts of the visualization. In addition, since the objects being rendered are described computationally, they also are more scientifically accurate. GraviT automatically recognizes the type of problem a researcher is working on, and then appropriately distributes data from the simulation to multiple computer processors for visualization. "This work can be incorporated into different visualization packages and into the community of visualization tools," says NSF program director Daniel S. Katz. The researchers released the first component of the system, GluRay, as an open source tool that enables researchers to visualize their research on distributed computers. They plan to release the beta version of GraviT in the fall. Although betrayal is a key aspect of the human experience, it also is notoriously difficult to study. "We all know betrayal exists," says Cornell University professor Cristian Danescu-Niculescu-Mizil. "But finding relevant data is really hard." However, Danescu-Niculescu-Mizil and his colleagues recently found a useful proxy for studying betrayal: the classic strategy game Diplomacy. Set in Europe before World War I, players take the role of nations and spend most of the game negotiating, planning, and forming alliances with other players before executing their moves. Betrayal is a fixture of the game, known by players as "stabbing" a putative ally. The researchers used an algorithm to analyze 145,000 messages between players of 249 games of Diplomacy to see if there were any patterns of behavior that could predict betrayals. They found betrayal was often preceded by a shift in politeness, with betrayers likely to become excessively polite and victims likely to suddenly become more polite. There also was an increase in planning-related language by soon-to-be victims a few rounds before they were betrayed. The researchers' program was able to use these clues to correctly predict betrayal 57 percent of the time. Researchers in Europe and the U.S. are developing a bevy of roboticized furniture they think will fill the gap in the market between simpler domestic robots such as iRobot's Roomba and the humanoid Pepper servant robot recently launched by Softbank. For example, an expressive robot trash can developed by Stanford University's Wendy Ju and David Sirkin is designed to patrol fast-food restaurants for trash, approaching tables and wiggling to get patron's attention. A mobile robot named toybox, developed by Francesco Mondada at the Swiss Federal Institute of Technology in Lausanne, operates on a similar principle: it features expressive "eyes" that it uses to look at toys, then wiggles and flashes to prompt the child who has left it out to put the toy away. Aaron Steinfeld and his colleagues at Carnegie Mellon University have developed a story-telling robotic chest of draws, dubbed Chester, in collaboration with Disney. One of Chester's drawers features an animated face that tells children stories, while the robot opens its other drawers at opportune moments to provide its audience with paintings and photographs. Other pieces of robotic furniture being developed by researchers include a robotic tool chest, also developed by Stanford's Ju, which may one day be able to anticipate what tool its owner needs and make it available. A team of researchers at Columbia University and the University of Paris have used a computer analysis of all of the State of the Union addresses given by U.S. presidents since 1790 to chart the evolution of American political thought. The researchers developed algorithms that analyzed the nearly 1.8 million words in the speeches to identify how various words appeared in relation to each other, using these relationships to infer information about the dominant political and social discourses and how they have changed over time. The most surprising finding was a very distinct shift in political thought that appeared in 1917, the same year the U.S. joined the Allies in fighting Germany during World War I. That year's speech marked several major shifts--away from discussions of state craft and the Navy toward discussions of domestic and foreign policy, for example--that the researchers say signal the advent of modern political thought. Columbia University professor David Blei, who was not part of the research team, says the study pushes the boundaries for statistical machine learning of language. "The authors have developed an impressive and ambitious methodology for revealing the flow of thought and sentiment within a sequence of political texts," Blei says.